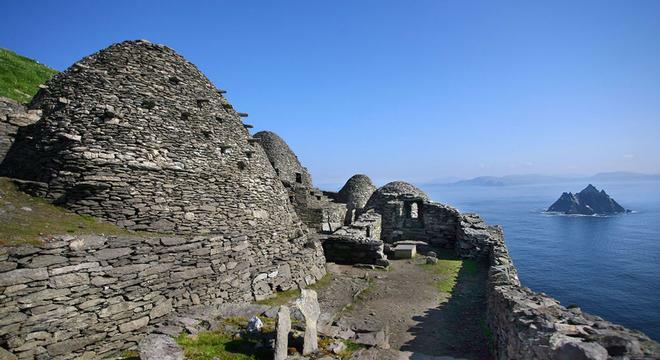 Enjoy some of Ireland's most attractive scenery and activities on this mid-paced tour. 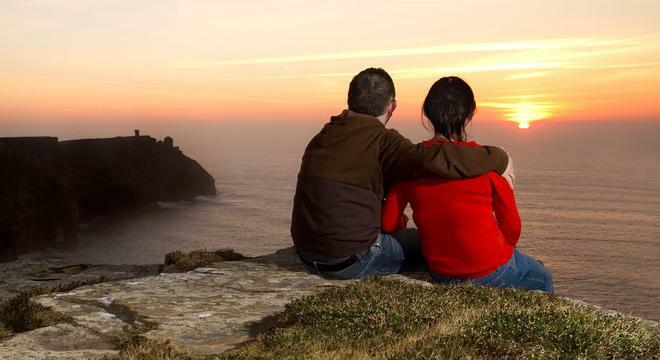 See the most popular destinations in Ireland and unwind in the evenings in some of our most luxurious hotels. From your arrival in Shannon Airport, spend some time touring south County Clare or alternatively head to towards the Beautiful village of Adare where you will be spending your first 2 nights at the luxurious Adare Manor. 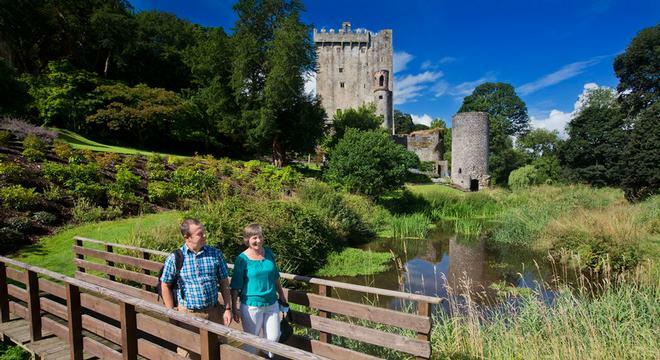 Enjoy the some of the country's most iconic attractions of Bunratty Castle, The Burren, Cliffs of Moher and the Medieval sites of Limerick City. 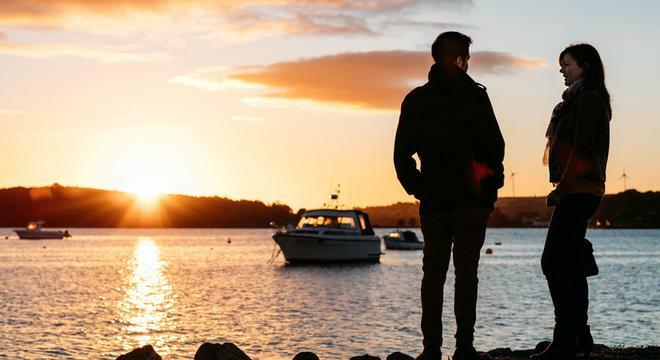 The Kingdom of County Kerry awaits with 2 nights in the town of Killarney from where Muckross House, Killarney National Park, Ross Castle and Killarney Golf and Fishing Club are within easy reach. One of the world's famous touring routes, the Ring of Kerry, with breathtaking views of the Atlantic coastline is within driving distance of your Killarney base. Next stop is the West Cork region with its natural beauty and rugged coastline. Visit the busy towns of Skibbereen and Clonakilty en route to the comfortable surroundings of the Trident Hotel in Kinsale. From Kinsale drive towards Cork City and stop to explore the city's many attractions including the Crawford Municipal Art Gallery, the English Market and Shandon Bells before venturing further afield to kiss the Blarney Stone at Blarney Castle, Midleton Whiskey Distillery and the town of Cobh. In the afternoon, leave Cork and head north towards Dublin where you will spend your next two nights in the Capital's most iconic hotel, the centrally located Merrion Hotel . Take in the sights and enjoy the attractions of this busy metropolitan city or venture south of the city bounds to County Wicklow, the garden of Ireland. This is one of Ireland's prettiest spots, characterised by divergent sandy beaches, mountains, rivers. Leave Ireland from Dublin Airport to return home with fond memories of your memorable vacation in Ireland. Rental of a economy-size car. Included with your car is all compulsory insurances - Collision Damage Waiver insurance (CDW with an excess/deductible), theft protection insurance, location fee of €30, Road fund tax, sales tax at 13.5%, unlimited free mileage, third party liability insurance, 24 hour peace of mind breakdown cover. Prices are per person based on 2 persons in each room with full Irish breakfast and taxes included. Accommodation and Car Rental Package rate includes an Exconomy Class car e.g. Opel Corsa or Fiat Punto. On arrival at Shannon Airport proceed to pick up your pre-paid rental car to begin your Ireland fly drive vacation. If you've slept on your flight, spend some time touring south County Clare or alternatively head to towards the Beautiful village of Adare where you will be spending your first 2 nights at the luxurious Adare Manor, one of Ireland's finest Castle hotels. Relax in the surroundings of the Castle or take advanatge of its location as the perfect base for touring the many fascinating sights in Counties Limerick and Clare such as Bunratty Castle, The Burren, Cliffs of Moher, the Medieval sites of Limerick city among many others. Drive onto Killarney for your next 2 nights staying in the Penthouse Suite of the Fairview Guesthouse, the finest boutique hotel in Killarney. Visit Muckross House, Killarney National Park, Ross Castle or even go for a round of golf at one of the famous Killarney Golf and Fishing Club's two Championship courses. After dinner you may explore some of the traditional pubs and maybe enjoy an Irish Music Seisiún. From your Killarney base you can also travel approx 40 miles to Dingle, the most westerly town in Europe. Dingle is a charming little fishing town that offers quite a lot for visitors to see and do. Dingle was the setting for movies such as Ryan's Daughter and Far and Away. Also enjoy the popular and world famous touring route, the Ring of Kerry, where the winding road leads you between breathtaking Atlantic coastline and the higest mountains in Ireland. Glenbeigh, Waterville and Sneem are on route and there will be plenty of stops to admire the beautiful scenery and surroundings. Depart Killarney in the early morning and drive south along part of the ring of Kerry to Kenmare and south along the N71 to Glengarriff and on to Bantry where you can stop for early lunch. Bantry House is superbly located overlooking the harbour and is well worth a visit. Continue on to small busy towns of Skibbereen and Clonakilty in beautiful West Cork on your way to the coastal town of Kinsale otherwise known as the "Gourmet Capital of Ireland". You will stay in a luxurious Junior Suite at the Trident Hotel tonight where you can relax and enjoy the sea views or explore the town and enjoy the gourmet delights and/or the atmospheric pubs. Kinsale's location ensures a plentiful supply of seafood for the town's restaurants and eateries. These premises, in guaranteeing their reputations, insist upon the highest quality of locally produced meat, vegetables and dairy produce. An extensive selection of pubs, restaurants and hotels are available as would be expected from such an acclaimed centre of tourism. The yachting and sailing fraternity frequent the town through the summer and the Point to Point Festival at the end of May is just one of the town's many annual events. Take a guided tour of Dublin's City Centre, eat at one of Dublin's many top class restaurants and sample Dublin's nightlife. Ireland is famous for its friendly pubs and these are but a drop in an ocean of fun to be had in Dublin! Take in the sights and enjoy the attractions of this progressive city. Or you could take a drive outside of the city to Wicklow, the garden of Ireland. This is one of Ireland's prettiest spots, characterised by divergent sandy beaches, mountains, rivers.